This 2015 Nissan Pathfinder is a a front wheel drive model that has a Clean Car Fax and has 52k miles. 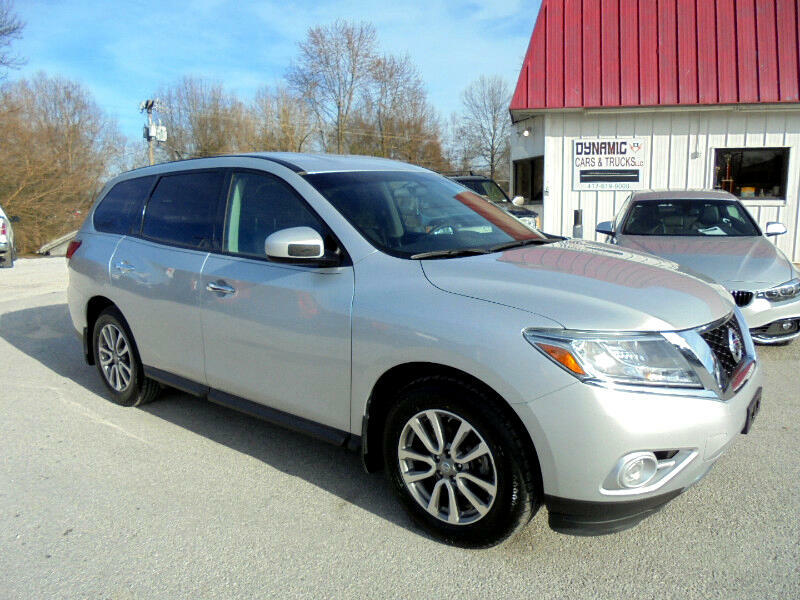 This Pathfinder comes well equipped with New tires, 3rd row seating, V6 engine, Automatic transmission, dual climate control zones, power windows, power locks, cruise control, A/C, am/fm/cd stereo, Alloy wheels, and towing package. This Pathfinder is clean inside and out and it is still under the manufacturers factory warranty. This Pathfinder drives out wonderfully so please call 417-732-5465 with any questions or to set up an appointment to test drive.